Meira just wants her people to be safe. When Cordellan debt forces the Winterians to dig their mines for payment, they unearth something powerful and possibly dangerous: Primoria’s lost chasm of magic. Theron sees this find as an opportunity—with this much magic, the world can finally stand against threats like Angra. But Meira fears the danger the chasm poses—the last time the world had access to so much magic, it spawned the Decay. So when the king of Cordell orders the two on a mission across the kingdoms of Primoria to discover the chasm’s secrets, Meira plans to use the trip to garner support to keep the chasm shut and Winter safe—even if it means clashing with Theron. But can she do so without endangering the people she loves? 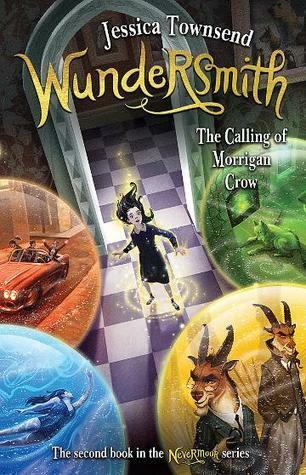 This review is for the second book in this series, and so contains spoilers for the first. You may wish to go and listen to Philippa and I chat (in a non-spoilery way) about Snow Like Ashes instead! Winter might be back in the hands of the Winterians, but they are being heavily occupied by troops from Cordell. When the Winter mines reveal the long-lost chasm of magic, the original source of the magical conduits currently wielded by each nation’s leader, Meira and Theron set out on a quest across the other kingdoms to locate the keys to the chasm’s door. But everyone wants the chasm opened for different reasons, tearing alliances apart. Okay, another tricky review today. I wanted to love this series – and I did enjoy reading Snow Like Ashes last year, but I’m afraid this second book suffers badly from “middle book syndrome”. The pacing is off, and on top of that we get two points of view this time, one in first person/present tense, and the other in third person/past tense. It took me ages to work out why I was getting confused every time the POV shifted! One of the main themes with Ice Like Fire is the way the Winterian people are dealing with being “free” again after their long incarceration in work camps. It’s an often heartbreaking read early in the story when we see people struggling to deal with the horrors they faced, and their current suffering. I thought this section of the story was really well written, but after Meira and the gang left Winter though, things started going downhill. It was good to see a few of the other kingdoms and how they live, but the traveling scenes felt kind of disjointed. Then when the main action parts did arrive, things almost felt too easy. I was in Team Mather in Snow Like Ashes and I’m certainly still there, although he does spend a lot of time being very morose. Who can blame him, though, after what he and the rest of the Winterian gang have been through! I did enjoy the parts with the Children of the Thaw – they made a nice addition to Mather’s rehabilitation. Theron… where to begin. I felt he was too perfect in book one and the same applies here to a certain extent. He has a painfully naive view of the world and it really drives him in a difficult direction. He’s also really touchy-feely with Meira – always hugging her or holding her hand, even once it got to the stage where she wasn’t into it. She also strings him along for ages which is kind of hard to read about. Mather all the way. 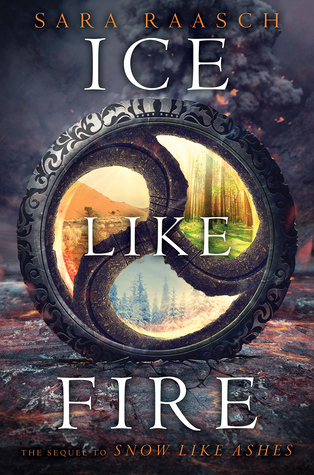 – It may be clear from this review, but I really didn’t enjoy Ice Like Fire as much as I did the first book. I’m hoping the final book in the trilogy will bring the epic back to this series that carries so much potential.